Tuesday, December 11th will bring a long 10-hour battle.net maintenance for the Americas Diablo III servers, and patch 1.0.7 is coming, but Blizzard doesn't have a release date planned for it yet. That's the word from the latest blue posts providing info about the next round of Diablo III upgrades. There will be an unusual amount of server changes and upgrades in the background done on Tuesday, both to battle.net and likely some Diablo III hotfixes. 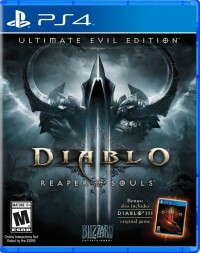 The main announcement on Saturday was of Diablo III servers and the other services scheduled for 10 hours, on Tuesday, December 11. 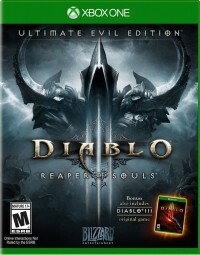 We will be performing scheduled game maintenance for Diablo 3 on Tuesday, December 11th. Maintenance will begin at 1:00 AM PST and is expected to last for 10 hours. 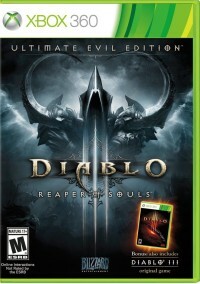 During this time Diablo 3 will not be available for play. In addition, many web services will be unavailable. Diablo III maintenance for 10 hours is unusual, when there isn't any patch to apply or other serious work being done on the servers. When looking over at the World of Warcraft servers, it turns out they're reporting the same schedule for maintenance over there. There was clearly some work being done across Blizzard properties to necessitate this. Patch 1.0.7 might surface. Hopefully. This particular maintenance is mostly addressing some fixes/upgrades to battle.net as far as I am aware... while patch 1.0.7 is on the way for sure, no date has been set for it yet. We will soon begin limited testing on updates to some Battle.net functionality (mainly communication and login). As a part of this process, you may notice some minor Battle.net-related UI changes while logged in to Diablo III, World of Warcraft, and StarCraft II. 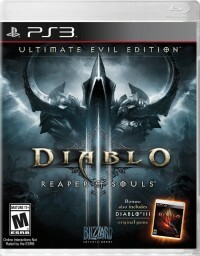 Patch 1.0.6 for Diablo III includes some of the data for this testing but will not impact your play experience. Similar testing-related data will be patched into World of Warcraft and StarCraft II in the future. Please note that at this stage the testing is limited, but we'll keep everyone updated and invite you to help us test the changes as soon as we can. We look forward to sharing more information about what's in store for Battle.net in the future, so stay tuned. The battle.net upgrades coming in the next Blizzard game release, StarCraft II: Heart of the Swarm point to a lot of work being done on battle.net in general. While big upgrades aren't coming right now to the Diablo III battle.net functionality, there will be some minor changes made across Blizzard's big games, to keep them in sync. It looks like this is now likely to be fixed with next Tuesday's scheduled maintenance. So while we wait for more details on what to expect in the major patch 1.0.7, there are at least some fixes and minor upgrades going in. We'll keep an eye out for any more info on the next batch of Diablo III updates.